This is one of our dazzling Carnelian arm ornaments. It is made utilizing top Carnelian beads, a solid flexible string and our Tibetan style gold-plated globules. These are an extraordinary choice for summer similar to a wonderful, energetic arm jewelery. 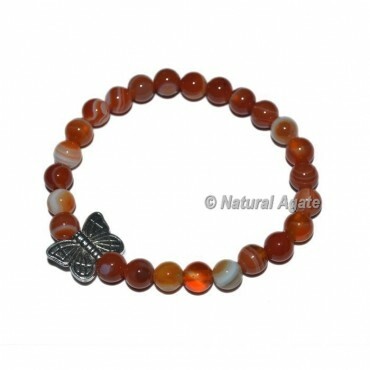 Carnelian jewelry are used to attract life's energy in bracelet by Natural Agate.